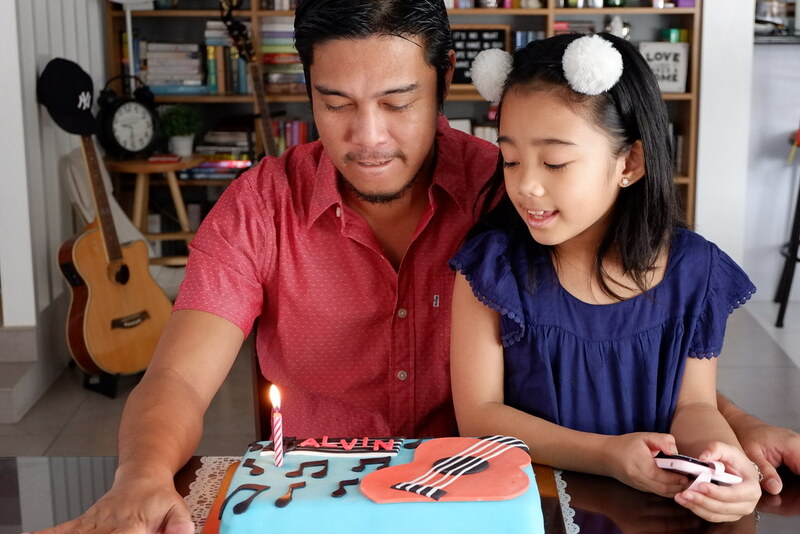 Two Sundays ago, we celebrated 2 occasions: Alvin’s birthday and Anika’s First Holy communion. 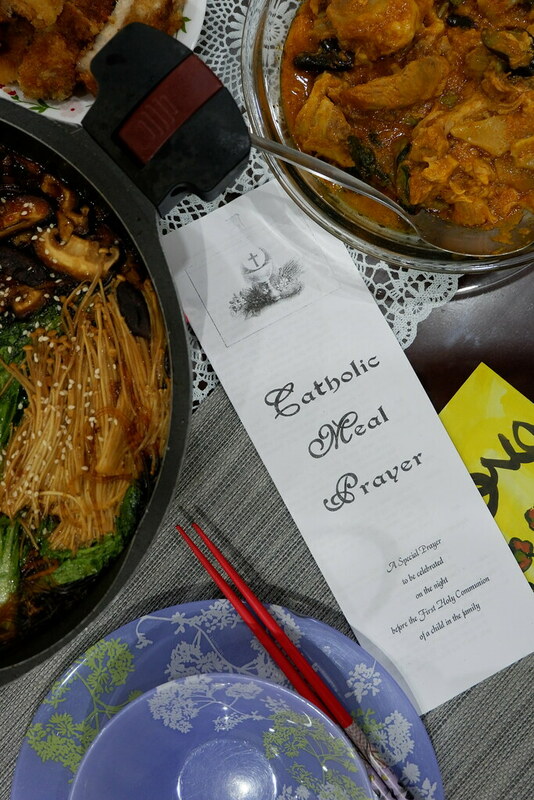 The night before, we were required by Anika’s school to have a Catholic Meal Prayer ceremony. It has to be done daw during dinner. We were given a guide for the flow of the prayer and the readings. Para siyang short mass. We broke bread and distributed it. Galing. 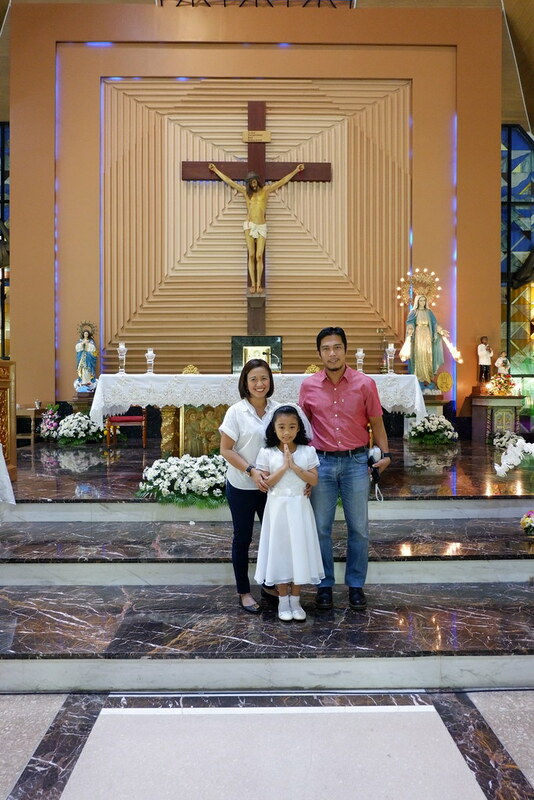 It was a nice pre-First Holy Communion celebration. I cooked Sukiyaki (for the first time) for this special occasion. I’ll show you how I did it in the next blog entry. After dinner, Janis and Mark came over for the birthday salubong of Alvin. 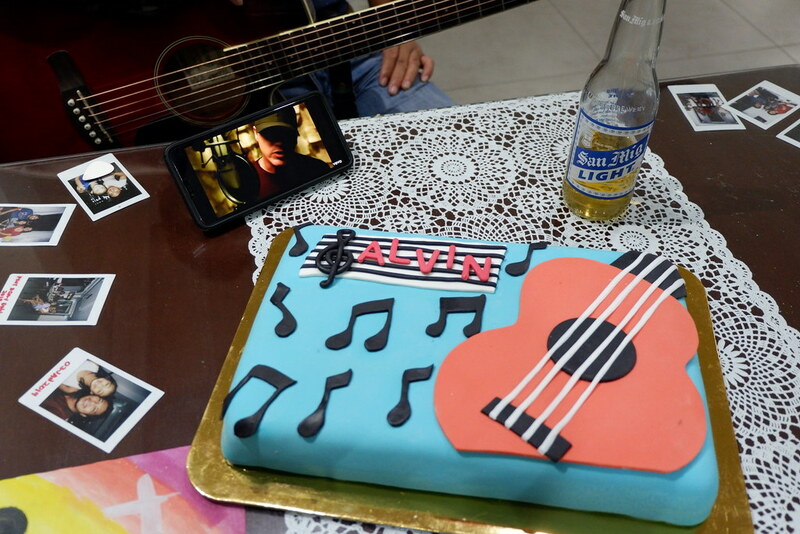 I got him a cake done by Alvin’s cousin, Nessie. She’s the wife of Karlo Imperial, who’s the baker behind Cakes by K. I got the design from Pinterest hehe. 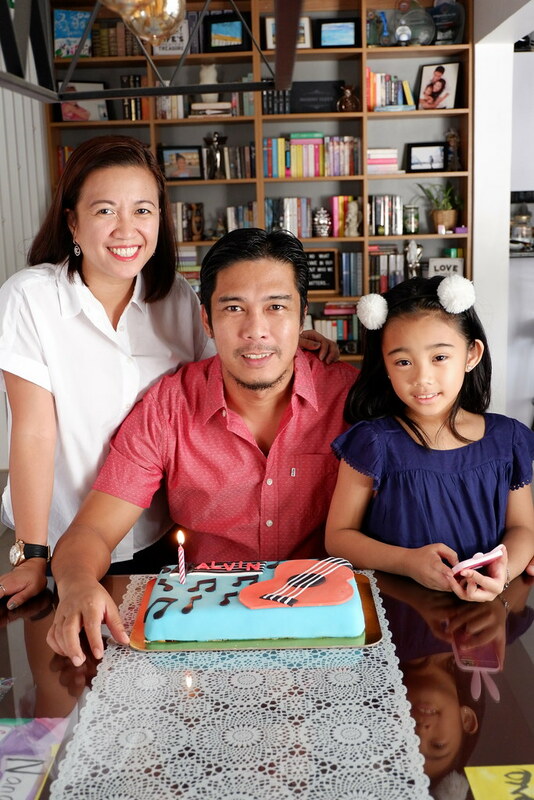 The next day, Alvin’s actual birthday, we were up early because we were going to the salon first before we go to Anika’s school for the communion ceremony. After we were all dressed up, we did our tradition of blowing the cake and taking photos. 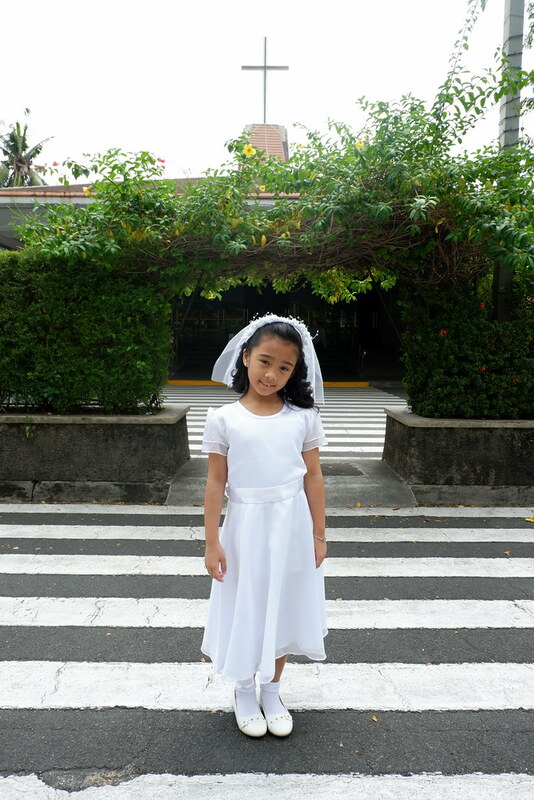 Since over acting ako, I also took photos of Anika’s First Communion attire ala debut. Hehe. 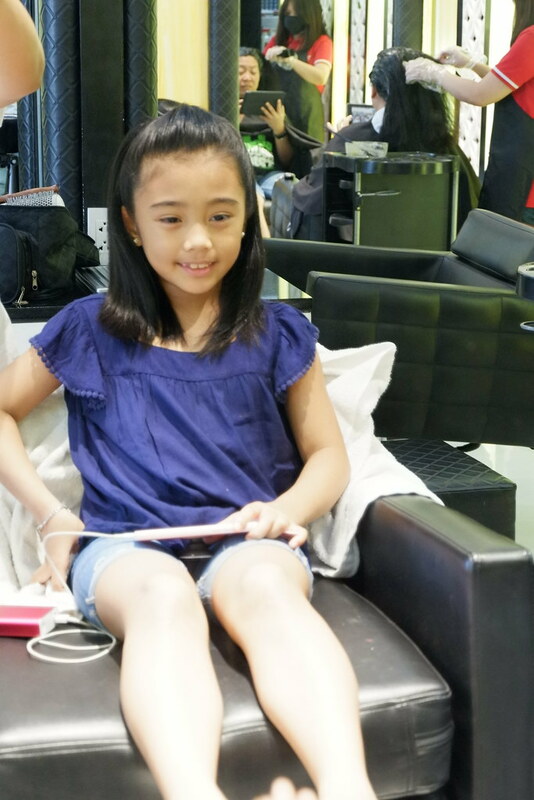 We went to Coco Grace Salon at The Link in Makati because Rexcie was there. This is what Anika wore. The shorts that she’s wearing was a pair of pants that Alvin cut to be a pair of well, cut-offs. In fairness to Mr. Sombrero, even though it was his birthday, he was a sport about coming and waiting at the salon with us. Actually wala naman siyang choice but nevertheless, going AND SPECIFICALLY WAITING, is a big deal for him. 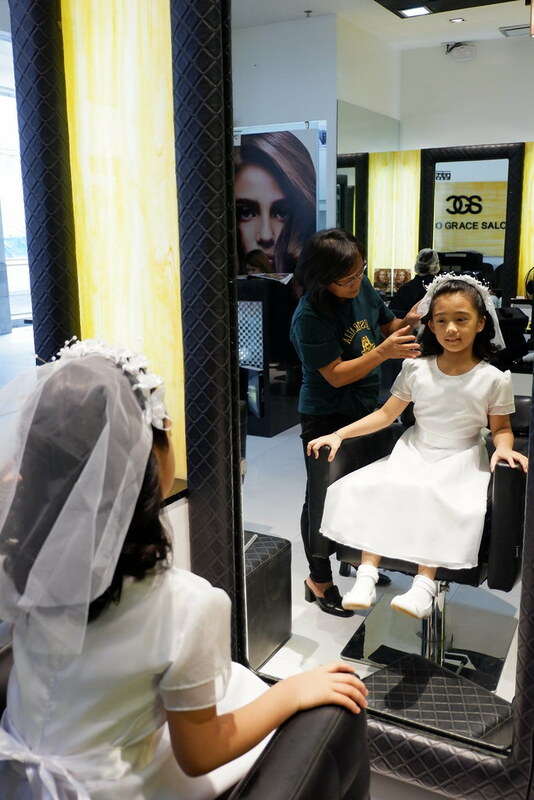 I asked them to curl Anika’s hair half ponytail style for her veil. 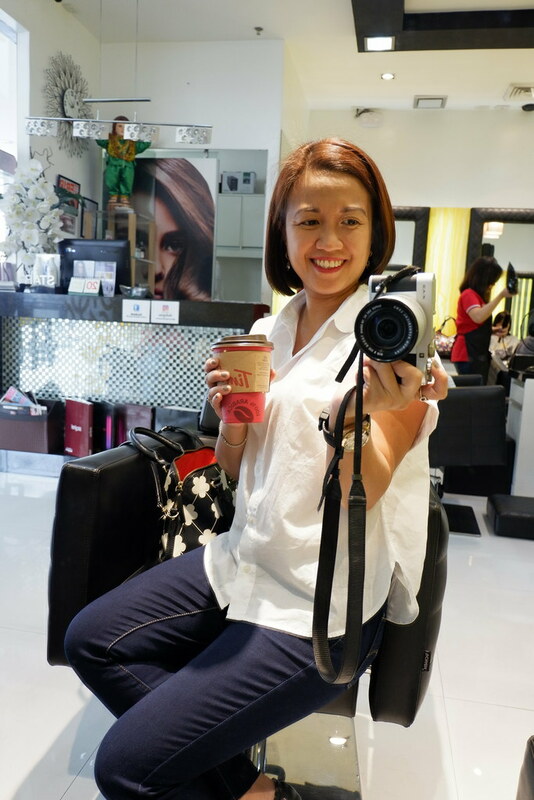 I had a haircut too because I was there na din. 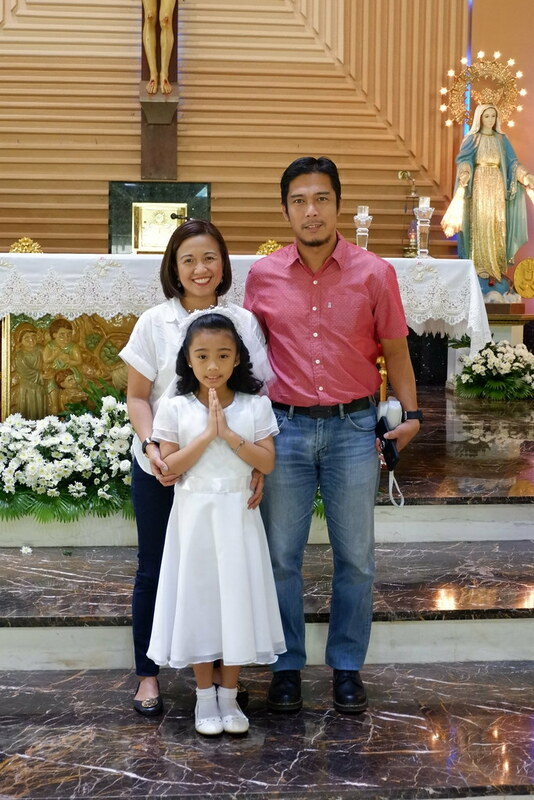 Anika kept on telling us that we have to dress decently for the mass. Parang agit na agit ang bagets sa akin. Na-pressure naman ako so that’s what I wore. Hindi na ako umarte arte pa. White polo and jeans it is. On our way to the school, Alvin said bakit feeling niya papasok siya sa office. Lelz. I said that I feel the same way. 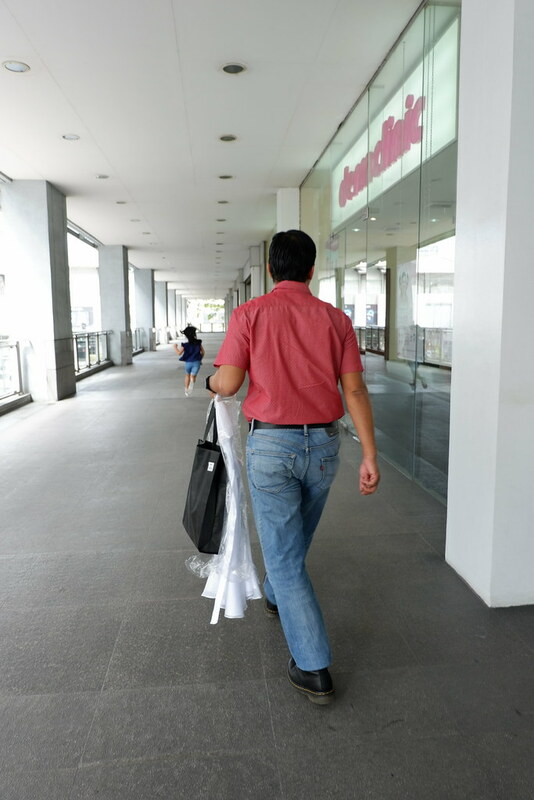 Decent kamo eh hence, office attire para hindi na kailangan magisip. 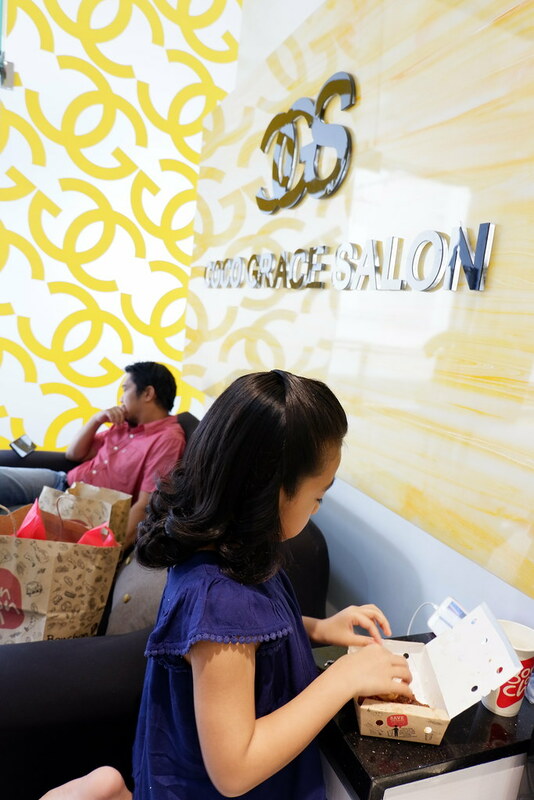 Nakakatuwa if you have a go-to salon ano? They’re like family. 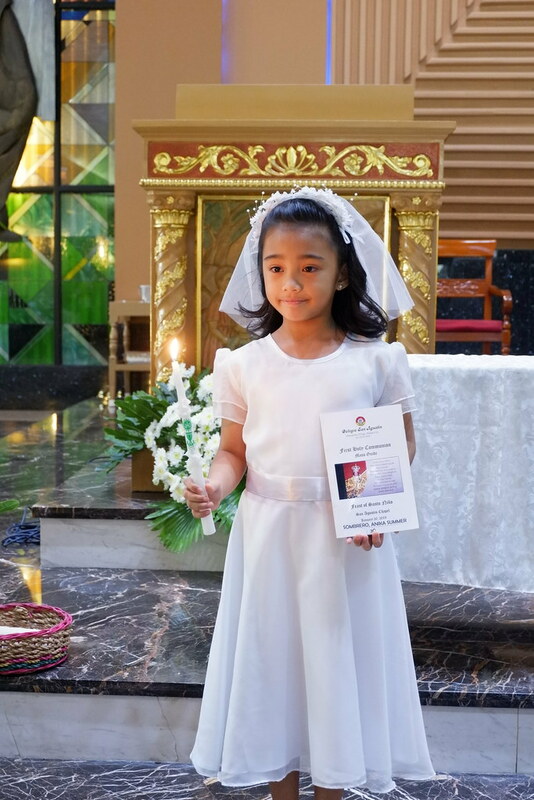 Inasikaso talaga nila si Anika like parang sila pa yung excited for the First Holy Communion. We ate lunch at the salon and in the car. We were at the church an hour early which gave us a chance to take a lot of photos. 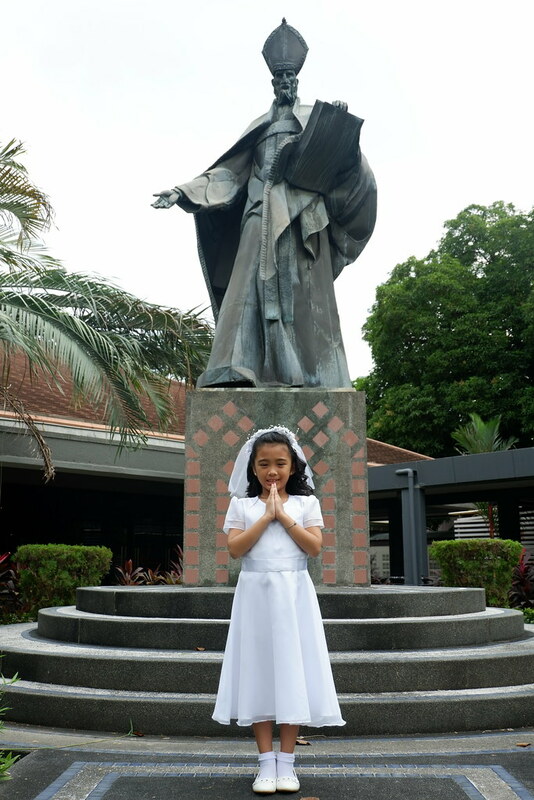 There is this nice funny feeling watching your daughter have her first communion in the place where I had my own 30 years ago. Parang ummm.. ang tanda ko na talaga. Choz.